Moaning about eating out when you have allergies is a common subject on my blog. I am determined to highlight the problems and demonstrate how we are being let down. Non allergy sufferers see Free From ranges and think we have it sorted but it is far from the truth. Stores are making an effort but my experiences demonstrate they can get it very wrong. Let me set the scene. Every other week my girlfriends and I frequent our local Marks & Spencer cafe for tea, cake, gossip and shopping. Whilst they (M&S) have never catered for me in the hot food or sandwiches section I could always grab a spiced ice bun. One of my friends is Coeliac and she could have a Gluten Free chocolate muffin. A simple pleasure for the both of us and neither one of us has to feel left out. Recently our M&S opened a new fancy cafe so we were all very excited to see what they had created. Well it looks like "Coffee Club" will be seeking a new location. No more ice buns, no more gluten free cakes and nothing on the hot food menu for vegans. Can you believe they have removed jacket potato with baked beans? Pretty much any cafe you visit guarantees that option. It’s a life saver for the majority of allergy sufferers, a staple safe option. When we asked staff why these items had disappeared they did not have an explanation. My friend and I had assumed that since they have tripled the size of our cafe that would ensure a wider selection for us but how wrong we were. We over heard someone suggesting purchasing an item from the food hall to eat in the Cafe. Wow what a telling off they received from staff who told the customer it’s not allowed.....what? Are you serious? It’s not like you are bringing in competitors food. Instead I have to sit watching my friends devour a massive slice of cake, seems a little unfair. In general M&S food hall is hit and miss for allergies. There are some items I can have and buy regularly but I was disheartened when M&S launched a Gluten Free range. I am beginning to sound like a broken record. I have started to begrudge gluten allergy sufferers when really we should all stick together. I know firsthand that Coeliacs have been struggling to get catered for as my sister has the problem but wait a minute my two main food allergies (milk & egg) are two of the most common out there. Why are we suddenly being left out? The Gluten Free market is obviously more exciting and appealing at this time, other allergies are old news. I often wonder who stores consult with when launching or extending a free from range. Do they consult with allergies sufferers? Do they have staff with allergies? Often it feels like they are pretty clueless, that they are second guessing what the market wants. I challenge these stores to spend a day in my shoes. See what I and many others battle against on a daily basis. All I want is to enjoy the company of friends and not have my allergies spoil the fun. 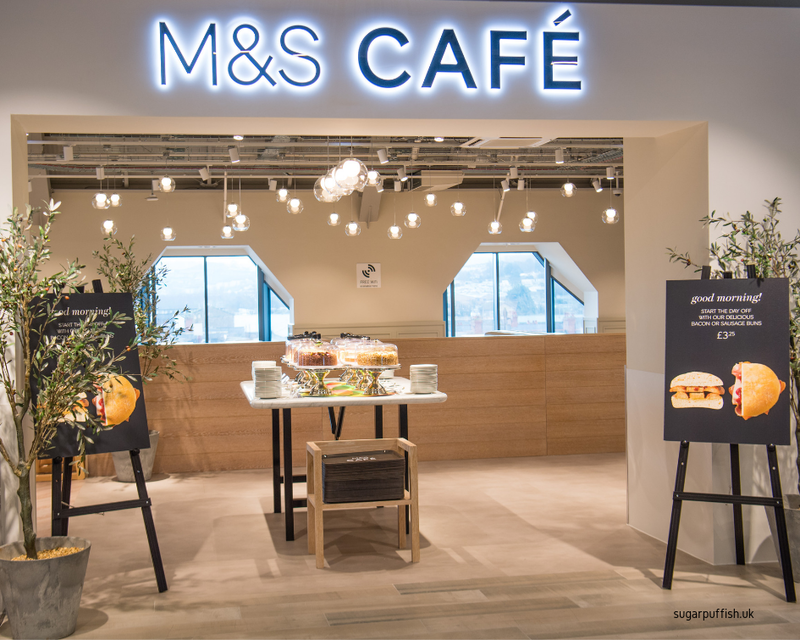 What are your experiences with eating at Marks & Spencer (in the cafe or food hall)? I am so pleased that someone has had a good rant about this. As I said to you before, Sarah, my friend can't eat egg and his ONLY option when we went the other day was a cheese and tomato sandwich. Talk about boring! How can they think that just one (dull) sandwich is a okay option for someone. Surely it would not be so hard/costly to make a chicken salad or BLT without butter and mayonnaise? It definitely makes you wonder about the quality of the meat that it cannot be served alone. At the prices they charge, there should be options! I don't have any allergies but I am a vegetarian (transitioning to veganism)and always found the M&S range of food to be quite pleasing so I'm surprised and saddened to hear it's so bad for allergies. I mean, I chose not to eat meat because of a moral objection but allergies? People don't choose to have them and they should be catered to! Thanks for the comment and support. As a vegetarian I can see that M&S would be suitable but as a Vegan I think you will view the store differently. It's a bit confusing but I often blog from a Vegan angle because I don't eat meat and have milk & egg allergy but I am not a strict Vegan. Some religious diets are catered for so I don't see why there isn't flexibility for vegans and allergy sufferers. Sorry to hear this Sarah. My advice is to write to head office and complain, let them know how unhappy you are. i would have thought that nowadays more companies would be increasing their range of allergy free food, especially M&S. That's a pretty poor show all round. Oh, and next time a cafe has nothing you can eat (i sometimes get that when I go out with my mum or son), DON'T ask if you can eat your own food. Just do it. if a member of staff mentions it (only happened once to me), just say, "I have food allergies, and you had nothing I can eat here, I hope you don't mind that I brought my own biscuit (or whatever it is)." You HAVE bought their coffee or tea after all.